Arrow Season 5: The finale showdown releases next week with episode 23. The upcoming segment is titled ‘Lian Yu.’ It will see an epic last fight between Oliver & Team Arrow against Adrian Chase aka Prometheus & his team. Let’s have a preview and predictions for it. The final episode of season 5 of Arrow will witness an ultimate team up between Death Stroke/Slade Wilson, Nyssa Al Ghul, Malcolm Merlyn, Digger Harkness (Captain Boomerang) and TeamArrow. They will work as a team to defeat Chase, Talia Al Ghul, Evelyn Sharp, and Black Siren. Check: Prison Break Season 5 Episode 8. Oliver will think of unlikely and recruits a team of unlikely allies. He does in turn as Chase already built his team thinking ahead of him. The Arrow 5×23 synopsis has been released and available here. It reads the following. Meanwhile, we can expect that some major characters will lose and may end up being dead by the finale’s end. In an interview, showrunner Wendy Mericle said that some people will die in the final segment. Moviepilot predicted that one of the dead persons is Roy Harper aka Arsenal. The co-creator also mentioned that Adrian Chase will continue to be several steps ahead of Oliver in the finale, but as the end approaches, Oliver will get his numbers putting the past behind him. It will be full of surprises. The season 5 will end with a major cliffhanger to start the Arrow season 6. Arrow season 5 episode 23 will air on May 24, 2017, on the CW at 8 pm ET. 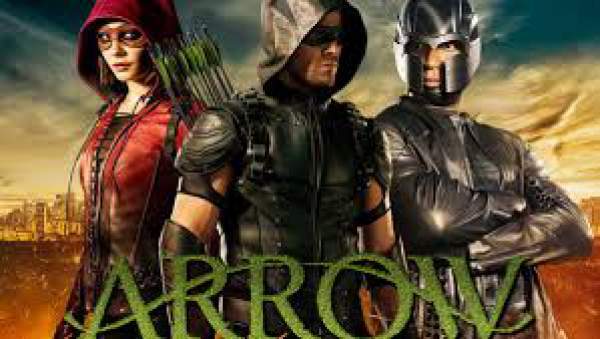 Stay tuned to TheReporterTimes for latest Arrow spoilers and updates around the world.